AIX Hamburg, Germany | April 2, 2019– Airbus and Safran won the 2019 Crystal Cabin Award in the Cabin Concepts category during Aricraft Interiors Expo; present at the event were: Norman Jordan, CEO of Safran Cabin; Sebastien Sivignon, Innovation Project Director, Safran Innovation; Frederic Mazel, Cabin Product Director, Airbus; Sören Scholz, SVP Cbin & Cargo Programme, Airbus. Buxtehude, Germany | March 19, 2019 – KID-Systeme GmbH announces a change in its Management Board with the appointment of Fokke Mentjes as Managing Director, effective from 1st of March. Fokke Mentjes succeeds Stefan Baten who assumes a new role within Airbus. Next to Managing Director Peter Schetschine, Fokke Mentjes will be responsible for the overall business of KID Systeme GmbH including product development, strategy, operations and finance. Previously he worked at Airbus Defence and Space, lastly in the A400M avionics program management. Fokke Mentjes is a graduate of the Technical University of Hamburg (TUHH). After successfully finishing his engineering degree in 1999, he started his career at EADS. KID-Systeme belongs to the Cabin and Cargo family within the Airbus Group, its product portfolio encompasses seat power, cabin and cargo safety features as well as on-board connectivity products and services. Senegal, Africa | March 8, 2019– Air Senegal has taken delivery of its first A330-900 from Airbus’ production line in Toulouse. The carrier is the first African airline to fly Airbus’ new generation widebody aircraft featuring latest technology engines, new wings with enhanced aerodynamics and a curved wingtip design, drawing best practices from the A350 XWB. Fitted with a three-class cabin comprising 32 Business class, 21 Premium Plus and 237 Economy class seats, Air Senegal plans to operate its first A330neo on its Dakar-Paris route and to further develop its medium and long-haul network. The A330neo is the true new generation aircraft building on the best-selling widebody A330’s features and leveraging on A350 XWB technology. Powered by the latest Rolls-Royce Trent 7000 engines, the A330neo provides an unprecedented level of efficiency – with 25% lower fuel burn per seat than previous generation competitors. Equipped with the Airspace by Airbus cabin, the A330neo offers a unique passenger experience with more personal space and the latest generation in-flight entertainment system and connectivity. Hamburg, Germany | March 7, 2019– Wizz Air, the largest Central and Eastern European low-cost carrier, has taken delivery of its first of 184 A321neo aircraft on order at an event in Hamburg, with József Váradi, CEO Wizz Air and Christian Scherer, Airbus Chief Commercial Officer. The new generation aircraft is powered by two Pratt & Whitney GTF engines and features the widest single-aisle cabin with 239 seats in a single class configuration and offers operators maximum flexibility, fuel efficiency and low operating costs. Wizz Air is an all-Airbus operator, with more than 100 A320 Family aircraft operating all around Europe, with 261 more to be delivered. With 184 of the larger A321neo aircraft on order, Wizz Air is the largest Airbus customer worldwide of the type. The A320neo and its derivative aircraft family members are the world’s best-selling single-aisle aircraft with over 6,500 orders from over 100 customers since its launch in 2010. It has pioneered and incorporated the latest technologies, including its new generation engines and the industry’s reference cabin design, delivering 20% fuel cost savings alone. The A320neo also offers significant environmental benefits with nearly a 50% reduction in noise footprint compared to previous generation aircraft. Toulouse, France | February 14, 2019– Following a review of its operations, and in light of developments in aircraft and engine technologies, Emirates is reducing its A380 orderbook from 162 to 123 aircraft. Emirates will take delivery of 14 further A380s over the next two years. As a consequence and given the lack of order backlog with other airlines, Airbus will cease deliveries of the A380 in 2021. Toulouse, France | February 15, 2019– Final assembly of the first A350-900 for Japan Airlines (JAL) has begun and is taking shape at the Final Assembly Line (FAL) in Toulouse, France. The wing-fuselage junction and the installation of the vertical and horizontal tailplane have been completed. The A350 XWB is an all-new family of mid-size widebody long-haul airliners shaping the future of air travel. It is the world’s most modern widebody family and the long-range leader, ideally positioned in the 300-400 seat category. The A350-900 and the A350-1000, and derivatives, are the longest range airliners in operation, with a range capability of up to 9,700nm. The A350 XWB features the latest aerodynamic design, carbon fibre fuselage and wings, plus new fuel-efficient Rolls-Royce engines. Together, these latest technologies translate into unrivalled levels of operational efficiency, with a 25% reduction in fuel burn and emissions. At the end of January 2019, Airbus has recorded a total of 894 firm orders for the A350 XWB from 48 customers worldwide, making it one of the most successful widebody aircraft ever. CES, Panasonic, Gogo and Much More! Next, we wondered about the presentation that Michael Childers made at CES last week, so we asked him and he told us a bit more about it. One of the key themes of this year’s CES in Las Vegas (January 8-11, 2019) was “Shaping the Future with Deep Data.” As you probably know, APEX Board Member and Technology Chair, Michael Childers, was a member of a panel on Wednesday, January 9, that dealt with the subject of data-driven technology and he told us: “As more and more elements of the travel experience are becoming automated, and biometrics even reduce personal engagement during boarding, airlines are faced with how to personalize the passenger experience with less personal engagement. The future of IFEC is in data-driven passenger engagement,” Childers told the assemblage. “Inflight entertainment selections are being increasingly driven by data analytics,” he said, “and the future of targeted advertising and e-commerce rely on the same databases. The difficulty is that that the needed data is captured incrementally over seven, eight or nine touch-points and are retained in silos that are not interconnected. So the challenge is to break down the silos and use the data to drive the experiences while respecting the GDPR rules that govern the use of personal data,” he said. Childers, who is Chief Consultant, Content & Media Strategy at Lufthansa Systems will be a keynote speaker on the same topic at the EyeforTravel Conference in San Francisco on March 14. On another note; if you noticed the IFEC BUZZ this week, Rich Salter is now a consultant (with a ton of industry experience, we might add) and if you need his help, send him a note at rsalter23@gmail.com. Now, lets get to work! Panasonic Avionics Corporation (Panasonic Avionics) has appointed Kimberly Chainey as its General Counsel. Ms. Chainey is a legal leader and corporate generalist with over 15 years experience advising senior executives of Fortune 500 companies, venture businesses and government entities. As chief legal officer and a member of the executive team, Chainey will advise Panasonic Avionics’ leadership on the company’s strategic direction. Gogo Inc., a global provider of broadband connectivity products and services for aviation, announced that as of December 31st, 2018, modifications to protect against de-icing fluid contamination on its 2Ku North American aircraft have achieved positive results. As a result of the success of the de-icing modifications, Gogo did not incur certain forecasted costs associated with further de-icing efforts in Q4 2018, and is raising its Adjusted EBITDA guidance to the high end of its previously announced range of $45 million to $60 million for the year 2018. As of December 31, 2018, Gogo had experienced no incidents of 2Ku system degradation on aircraft with Gogo’s recent de-icing modifications. Based on Federal Aviation Administration (FAA) data listing airports that have experienced de-icing activity, Gogo estimates that in 2018, aircraft with Gogo de-icing modifications flew more than 5,000 flights that had been de-iced. As of December 31, 2018, Gogo’s de-icing modifications had been installed on more than 675 aircraft, representing almost 97% of the installed North American fleet. While the vast majority of global de-icing activities occur in North America, Gogo will modify existing 2Ku installations on international aircraft as part of each airline’s maintenance program. All newly equipped 2Ku aircraft globally will include the de-icing modifications at the time of installation if requested by the airline. Availability across the entire Gogo 2Ku fleet was approximately 98% for the month of December, which compares to approximately 90% for the same period last winter. “On December 11, 2018, we announced zero incidents of 2Ku degradation on aircraft installed with Gogo’s recent de-icing modifications and we are pleased to announce that this success extended through the end of 2018,” said John Wade, president of Gogo’s Commercial Aviation division. Rolls-Royce is the launch customer for SITAONAIR’s game-changing e-Aircraft DataHub – a new, state-of-the-art neutral aircraft data management service designed to bring significant, distinct benefits to airlines and original equipment manufacturers (OEMs). Today, harnessing aviation data represents the key to unlocking the untapped potential of modern aircraft. It is crucial to everything from minimizing airline maintenance costs and maximizing aircraft availability, to empowering manufacturers and maintenance, repair and overhaul (MRO) teams to be at their most effective. However, several hurdles have hampered progress – including airlines’ reluctance to permit OEMs access to sensitive data, and the complexity of achieving timely and tailored secure data transfer and distribution to relevant parties. SITAONAIR’s e-Aircraft DataHub overcomes these hurdles. As a secure, cloud-based aircraft data-brokering service, it enables airlines to share selected aircraft data from diverse fleets, aircraft models and formats with their chosen OEM, at no cost to the airline. Marking the successful final launch to deploy the Iridium NEXT constellation, which occurred Friday, January 11, 2019, Thales announces it has signed Marlink and Speedcast to expand its official network of resellers for ThalesLINK satellite communications (satcom) solutions. These solutions enable connectivity for people anytime, anywhere with Iridium CertusSM. This visible commitment to Iridium Certus was also recently recognized by Iridium who dedicated satellite SV-125 to Thales for its role as a value added manufacturer in aviation, land and maritime markets. Thales adds resellers to connect people at any moment, anywhere with Iridium CertusSM. Marlink and Speedcast sign as certified resellers of ThalesLINK offering land and maritime mobile connectivity capabilities. Iridium dedicates a satellite to Thales for its role as a value added manufacturer. 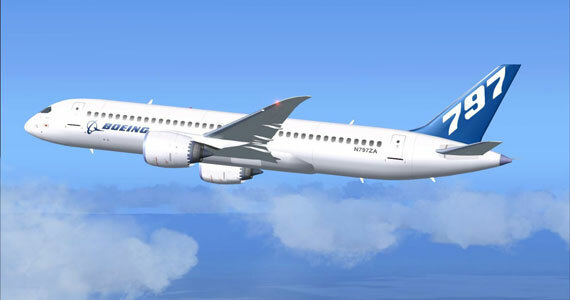 COLLINS AEROSPACE was selected by Norwegian to supply CabinConnect inflight connectivity solution for 787-9s and 737MAXs used for long-haul services; >50% of fleet is expected to be equipped by 2020 and Wi-Fi on MAX will begin in mid-January. Delta Air Lines has ordered 15 additional A220 aircraft, bringing to 90 the total of the new generation, highly fuel-efficient jetliners the world’s second-largest airline has on order. The additional orders are the airline’s first for the -300 model. Delta also converted earlier A220 orders to the larger -300, bringing to 50 the number of A220-300s on order. Delta placed its initial order for 75 aircraft in 2016. Airbus will produce the A220-300s at a new U.S. assembly facility in Mobile, Alabama. Construction of the plant, to be located adjacent to the existing Airbus A320 assembly facility, will begin later in January. The A220 is the only aircraft purpose-built for the 100-150 seat market; it delivers unbeatable fuel efficiency and true widebody comfort in a single-aisle aircraft. The A220 brings together state-of-the-art aerodynamics, advanced materials and Pratt & Whitney’s latest-generation PW1500G geared turbofan engines to offer at least 20 percent lower fuel burn per seat compared to previous generation aircraft. With a range of up to 3,200 nm (5920 km), the A220 offers the performance of larger single-aisle aircraft. With an order book of more than 500 aircraft to date, the A220 has all the credentials to win the lion’s share of the 100- to 150-seat aircraft market estimated to represent at least 7,000 aircraft over the next 20 years. A220 – The newest addition to the Airbus family of commercial aircraft, the A220, has received 180-minute extended operations (ETOPS*) approval from the Canadian civil aviation authority, Transport Canada. This achievement paves the way for A220 customers to start new direct non-limiting routings over water, remote or underserved regions. Embraer and Boeing have welcomed approval by the Government of Brazil of the strategic partnership that will position both companies to accelerate growth in global aerospace markets. The government’s approval comes after the two companies last month approved terms for the joint venture that will be made up of the commercial aircraft and services operations of Embraer. Boeing will hold an 80 percent ownership stake in the new company and Embraer will hold the remaining 20 percent. The companies have also agreed to the terms of another joint venture to promote and develop new markets for the multi-mission medium airlift KC-390. Under the terms of this proposed partnership, Embraer will own a 51 percent stake in the joint venture, with Boeing owning the remaining 49 percent. Once Embraer’s Board of Directors ratifies its prior approval, the two companies will then execute definitive transaction documents. The closing of the transaction will be subject to shareholder and regulatory approvals and customary closing conditions. Assuming the approvals are received in a timely manner, the transaction is intended to close by the end of 2019. U.S. government shutdown holds up FAA approval of aircraft, routes | Reuters This will only get worse. IFExpress: 25 Years – At Your Service! It is hard to believe but it has been 25 years since our first newsletter was sent out and we thank all of our readers that signed up, we thank all the folks we have interviewed, and we especially thank all of our sponsors – because it is the sponsors that provide you IFExpress news! So let’s embark on 2019 with the latest round of aviation news. You will notice that this year’s aviation industry magazine, Aviation Week has voted Boeing’s Dennis A. Muilenburg as its 2018 Person of the Year. He is this week’s BUZZ because we thought our readers might like to a face with the name. The Aviation Week folks chose a person, in this case, who has had a major impact on the industry while at Boeing where he has been employed since 1985. After joining Boeing, he served in positions in commercial airplane and defense. He was promoted to vice president of the company in 2015. Meanwhile in the Airplane Company, Jim McNerney restored order after inheriting a company that had been lumbered with negative politics that were accompanied by numerous Airbus wins. It took McNerney almost 10 years to steady Boeing and propel them into their recent growth. In February 2016 it was announced that Muilenburg would replace McNerney and Muilenburg would become the chairman of the board of directors. Congratulations Dennis! Along another line, it looks like the 797 will be an airplane whose size fit holds 225 – 265, slotting it between the 737 and the 787/777X. The new jetliner will have a range of approximately 5,000 nm (9,260 km). We expect the plane to kicked off later this year. And, yes, our rectangle above is a drawing of the product in flight. AIR CANADA agreed to purchase four A321-200s (5681/5733/6210/6232) from WOW air for delivery in January 2019. Moxy – The start-up U.S. airline code-named “Moxy” has signed a firm order with Airbus to purchase 60 A220-300 aircraft. Moxy is the new airline venture led by David Neeleman, one of the industry’s most innovative entrepreneurs and founder of JetBlue Airways. In addition to JetBlue, Neeleman also founded Azul Brazilian Airlines and is the controlling investor in the revitalization of TAP Air Portugal. Plans for Moxy, a low-cost airline were unveiled at the Farnborough International Air Show in July. “The A220-300 is the right airplane for a new airline that will be focused on passenger service and satisfaction,” said Neeleman. “With a low cost of operation and spacious cabin, the A220 will allow us to provide passengers with lower fares and a high quality, comfortable flying experience. The A220’s ability to operate profitably in thin, underserved markets across a broad spectrum of ranges is unique”. The order was completed the final week of December. Airbus will produce the A220-300 at a new U.S. assembly facility in Mobile, Alabama. Construction of that plant, to be located adjacent to the existing Airbus A320 assembly facility, will begin later this month. The A220 is the only aircraft purpose built for the 100-150 seat market; it delivers unbeatable fuel efficiency and true widebody comfort in a single aisle aircraft. The A220 brings together state-of-the-art aerodynamics, advanced materials and Pratt & Whitney’s latest-generation PW1500G geared turbofan engines to offer at least 20 percent lower fuel burn per seat compared to previous generation aircraft. With a range of up to 3,200 nm (5020 km), the A220 offers the performance of larger single-aisle aircraft. With an order book of more than 500 aircraft to date, the A220 has all the credentials to win the lion’s share of the 100- to 150-seat aircraft market estimated to represent at least 7,000 aircraft over the next 20 years. JetBlue Airways – JetBlue Airways has firmed up an order for 60 A220-300 aircraft, the larger model of the new, industry-leading A220 series. JetBlue’s existing Airbus fleet includes 193 A320 and A321ceo aircraft in operation, with an additional 85 A321neo aircraft on order. The order was completed the last week of December. Airbus will produce the A220-300 aircraft at a new U.S. assembly facility in Mobile, Alabama. Construction of the plant, to be located adjacent to the existing Airbus A320 assembly facility, will begin later this month. The A220 is the only aircraft purpose built for the 100-150 seat market; it delivers unbeatable fuel efficiency and true widebody comfort in a single-aisle aircraft. The A220 brings together state-of-the-art aerodynamics, advanced materials and Pratt & Whitney’s latest-generation PW1500G geared turbofan engines to offer at least 20 percent lower fuel burn per seat compared to previous generation aircraft. With a range of up to 3,200 nm (5020 km), the A220 offers the performance of larger single-aisle aircraft. With an order book of more than 500 aircraft to date, the A220 has all the credentials to win the lion’s share of the 100- to 150-seat aircraft market estimated to represent at least 7,000 aircraft over the next 20 years. Boeing delivered 69 737 airplanes in December and set a new annual record of 806 deliveries in 2018, surpassing its previous record of 763 deliveries in 2017. Even as Boeing delivered more jetliners, the company again grew its significant order book with 893 net orders, including 203 airplane sales in December. With a seven-year order backlog, Boeing increased production of the popular 737 in the middle of 2018 to 52 airplanes per month. Nearly half of the year’s 580 737 deliveries were from the more fuel-efficient and longer-range MAX family, including the first MAX 9 airplanes. At the same time, Boeing continued to build the 787 Dreamliner at the highest production rate for a twin-aisle airplane to support high demand for the super-efficient jet. The Dreamliner program finished with 145 deliveries for the year. Deliveries of various 777, 767 and 747-8 models rounded out the total of 806 airplanes for the year. 767 deliveries include the transfer of 10 767-2C aircraft to Boeing Defense, Space & Security for the U.S. Air Force KC-46 tanker program. On the orders front, Boeing achieved sales success across its airplane portfolio with 893 net orders valued at $143.7 billion according to list prices. While growing the order backlog for nearly every program, the company showed particular strength in the twin-aisle category with 218 widebody orders last year. The 787 Dreamliner extended its status as the fastest-selling twin-aisle jet in history with 109 orders last year or about 1,400 since the program launched. Highlights include Hawaiian Airlines switching from the Airbus A330 to the 787 and Turkish Airlines becoming a new customer. American Airlines and United Airlines added to the growing list of repeat Dreamliner purchases with 47 and 13 additional jets respectively. The 777 family continued its steady sales momentum with 51 net orders in 2018, driven by sales of the 777 Freighter to DHL Express, FedEx Express, ANA Cargo, Qatar Airways and other major freight operators. With additional sales in December, the 777 program exceeded 2,000 orders since its launch. The 737 MAX family also achieved a major sales milestone in December, surpassing 5,000 net orders with 181 new sales during December. For the full year, the 737 program achieved 675 net orders, including sales to 13 new customers. GREEN AFRICA AIRWAYS, Nigeria agreed to order 50 737 MAX 8s, and option 50; it plans startup in 2019. CHINA AIRCRAFT LEASING GROUP (CALC) agreed to order 25 737 MAXs for delivery starting in 2023, and option 25 more for delivery starting in 2025; deal increases its firm 737 MAX orderbook to 75. It is also committed for >215 A320s and 10 C919s. FLYADEAL (Saudi Arabian Airlines) agreed to order 30 737 MAX 8s, and option 20; it will configure aircraft with 189 seats. 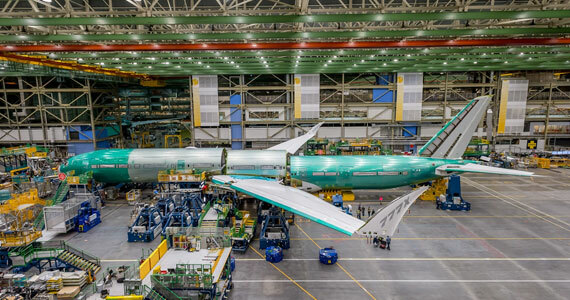 SPIRIT AEROSYSTEMS signed MOA with Boeing that establishes (among other items) pricing terms for 737NG, 737 MAX, 767, 777F, 777-9 and 787 programs into next decade, investments for tooling/capital for 737 rate increases, joint cost reduction programs for 777X and 787, consent for acquisition of ASCO INDUSTRIES, plus release of liability for 737 disruption activity. GOL completed sale/leaseback transactions with both Castlelake and Apollo Aviation Group for 13 737-800s that will be removed from fleet in 2019-2021 and replaced by 737 MAXs. Spirit Airlines Welcomes You Almost Home for the Holidays | The New Yorker Funny and Phony! City Navigation- There is no car required for much of todays urban transportation. Supasorn Suwajanakorn: Fake videos of real people — and how to spot them | TED Talk Watch out for this one in political videos because this subject will, no doubt, have, future impacts! Tianjin, China | December 18, 2018– Airbus has delivered the 400th A320 Family aircraft from its Final Assembly Line Asia (FALA) in Tianjin, China. The A320neo was delivered to national flag carrier Air China, based in Beijing. Powered by Pratt & Whitney GTF latest generation engines, the aircraft features a comfortable two-class cabin layout with 158 seats: 8 business and 150 economy. The milestone is a tribute to the excellent industrial cooperation and partnership between Airbus and the Chinese aviation industry. The Airbus A320 Family Final Assembly Line Asia (FALA) is a joint venture between Airbus and a Chinese consortium comprising Tianjin Airport Economic Area Zone & Tianjin Port Free Trade Administrative Committee and China Aviation Industry Corporation (AVIC). Airbus and the Chinese consortium hold 51% and 49% of the shares of the joint venture respectively. Airbus has four A320 Family production facilities around the world: Toulouse, France; Hamburg, Germany; Tianjin, China; and Mobile, United States. Featuring the widest single-aisle cabin in the sky, the efficient A320neo Family incorporates the very latest technologies including new generation engines and Sharklets, which together deliver at least 15% fuel savings at delivery and 20% by 2020. With more than 6,200 orders received from more than 100 customers, the A320neo Family has captured some 60% share of the market. 2018 Is Just About Over & There Is A Lot of News! This is the last edition of IFExpress for 2018 and it is a big one! There was a lot happening over the past 7 days, so let’s dig in. 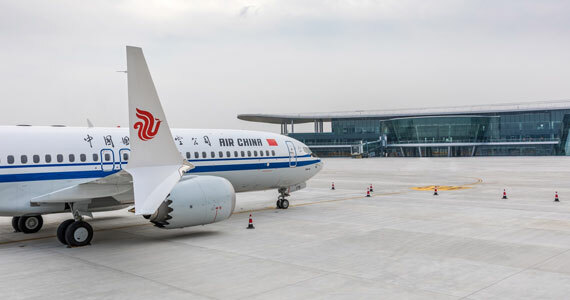 Boeing and joint venture partner Commercial Aircraft Corporation of China, Ltd (COMAC) celebrated the delivery of the first airplane from the new 737 Completion and Delivery Center in Zhoushan, China. (See rectangle) Air China received the first plane, marking a new era in Boeing’s partnership with the Chinese aviation industry. Delivery of the first MAX 8, assembled in Renton, Washington and completed in China, comes 20 months after construction began at the 100-acre site. The facility, which covers 666,000 sq ft in total, is designed to support the entire 737 MAX family of airplanes, from the long-range MAX 7 to the high-capacity MAX 10. With about one third of all 737 deliveries going to Chinese customers, the Zhoushan facility will enable Chinese airline customers to update and expand their fleets with the most technologically-advanced Boeing single-aisle airplanes available. In addition, the business and the partnerships Boeing is developing in China are integral to adding capacity and aerospace jobs in the U.S China is on course to become the largest commercial aviation market in the world. Boeing’s latest Commercial Market Outlook forecasts that China will need 7,680 new airplanes worth $1.2 trillion USD over the next 20 year and another $1.5 trillion USD in commercial services to support the country’s growing fleet of airplanes. Boeing delivered the 787th 787 Dreamliner to come off the production line, marking a special milestone for the super-efficient airplane family and the fastest-selling twin-aisle jet in history. Since its first delivery in September, 2011, the 787 family has flown nearly 300 million passengers on more than 1.5 million flights around the world, including more than 210 new nonstop routes made possible by the airplane’s superior fuel efficiency and range. The airplane was delivered to AerCap, the world’s largest lessor and 787 customer. Sporting a special logo commemorating the production milestone, the airplane will be leased and operated by China Southern, which continues to expand its long-haul fleet of 787 Dreamliners, including 10 787-8s and eight 787-9s. China Southern Airlines first ordered 10 787-8 Dreamliners in 2005 and further increased its capability on long-haul routes when they placed an order for 787-9s in 2016. The 787s have enabled the airline to launch a number of non-stop global routes, connecting Guangzhou to London and Rome in Europe; Vancouver, British Columbia, in North America; and Perth, Auckland, and Christchurch in the Oceania region. Boeing and ELG Carbon Fibre announced a partnership to recycle excess aerospace-grade composite material, which will be used by other companies to make products such as electronic accessories and automotive equipment. The agreement – the first of its kind for the aerospace industry – covers excess carbon fiber from 11 Boeing airplane manufacturing sites and will reduce solid waste by more than one million pounds a year. Carbon-fiber reinforced material is extremely strong and lightweight, making it attractive for a variety of uses, including in building the super-efficient 787 Dreamliner and the all-new 777X airplane. As the largest user of aerospace-grade composites from its commercial and defense programs, Boeing has been working for several years to create an economically viable carbon fiber reuse industry. The company improved its production methods to minimize excess and developed a model for collecting scrap material. But technical barriers stood in the way of repurposing material that had already been “cured” or prepped for use in the airplane manufacturing process. UK-based ELG developed a proprietary method to recycle “cured” composites so they do not have to be thrown out. To prove that the recycling method can be applied on a grand scale, Boeing and ELG conducted a pilot project where they recycled excess material from Boeing’s Composite Wing Center in Everett, Wash., where the massive wings for the 777X airplane are made. ELG put the excess materials through treatment in a furnace, which vaporizes the resin that holds the carbon fiber layers together and leaves behind clean material. Over the course of 18 months, the companies saved 1.5 million pounds of carbon fiber, which was cleaned and sold to companies in the electronics and ground transportation industries. Based on the success of the pilot project, Boeing says the new agreement should save a majority of the excess composite material from its 11 sites, which will support the company’s goal to reduce solid waste going to landfills 20 percent by 2025. Boeing and ELG are considering expanding the agreement to include excess material from three additional Boeing sites in Canada, China and Malaysia. As a result of the partnership, ELG estimates the number of its employees will nearly triple from 39 in 2016 to an expected 112 by the end of 2019 as the recycling market continues to expand. Boeing and Embraer have approved to the terms of a strategic partnership that would position both companies to accelerate growth in global aerospace markets. The approved terms define the joint venture comprising the commercial aircraft and services operations of Embraer, in which Boeing will hold an 80 percent ownership stake and Embraer will hold the remaining 20 percent. The transaction remains subject to approval by the Government of Brazil, after which Embraer and Boeing intend to execute definitive transaction documents. The closing of the transaction will then be subject to shareholder and regulatory approvals and customary closing conditions. Under the terms of the proposed partnership, Boeing will acquire an 80 percent ownership stake in the joint venture for $4.2 billion. The partnership is expected to be neutral to Boeing’s earnings per share in 2020 and accretive thereafter. Estimated annual pre-tax cost synergies of approximately $150 million are anticipated by the third year of operations. Gogo, a global provider of broadband connectivity products and services for aviation, announced that modifications to its 2Ku installations on North American aircraft to protect against de-icing fluid contamination have achieved positive results. Gogo is providing an update on the performance of its 2Ku system in order to respond to investor inquiries stemming from recent significant winter storm activity, including Diego, which occurred just this past weekend. As of December 10, Gogo had experienced no incidents of 2Ku system degradation on aircraft installed with Gogo’s recent de-icing modifications. Based on Federal Aviation Administration (FAA) data listing airports that have experienced deicing activity, Gogo estimates that aircraft with Gogo deicing modifications have been de-iced prior to 2,601 flights so far this winter. And as of December 10, Gogo’s de-icing modifications had been installed on more than 600 aircraft, representing almost 95% of the Company’s North American fleet. While the vast majority of global de-icing activities occur in North America, Gogo will modify existing 2Ku installations on international aircraft as part of each airline’s maintenance program. All newly equipped 2Ku aircraft globally will include the de-icing modifications at the time of installation.As of December 10, 2018, 2Ku availability across the entire Gogo 2Ku fleet was approximately 98% month to date, as compared to 92% for the same period last winter. Singapore Airlines is known globally for its high standards of service and cabin experience. The airline has been awarded the internationally acclaimed five-star rating from Skytrax and was recognized by the organization in 2018 as the ‘World’s Best Airline” for the fourth time, operating a modern passenger fleet of more than 100 aircraft. For the upcoming fleet of A350-900 medium haul aircraft, Singapore Airlines has entrusted Thales to sustain their brand promise of improving service excellence, retaining competitive advantage and continuing to meet and exceed customer expectations. This new fleet of aircraft will be equipped with Thales’s AVANT IFE system, featuring an innovative and personalized user experience uniquely designed for Singapore Airlines. The 40 Business Class passengers will enjoy 17” High Definition touch screen monitors with a complementing handset that operates similarly to a consumer smart phone, enabling passengers to use it as a secondary device to control the seatback monitor. The 263 Economy Class seats will feature the latest 11.6” touchscreen monitors. The sleek and lightweight design of AVANT provides travelers an exceptional inflight experience with Singapore Airlines’ vast choice of entertainment. The IFE solution is designed with a new Signature user interface that is unique to Singapore Airlines, and offers a more intuitive user experience with new additional navigational options. Airbus selected 51 international student teams to go into round two of its sixth Fly Your Ideas global challenge. Students were invited to innovate in six key areas covering Electrification, Data Services, Cyber Security, Internet of Things, Artificial Intelligence and Mixed Reality. Airbus SE appointed Philippe Mhun, 56, as Chief Programmes and Services Officer for Airbus Commercial Aircraft, effective 01 January 2019. Mhun, currently Head of Customer Services at Airbus, will succeed EVP Head of Programmes Didier Evrard, 65, who retires around the turn of the year after 41 years associated with Airbus, 20 of those in top management positions. Airbus China Innovation Centre (ACIC) signed a Memorandum of Understanding (MoU) with Royole Technology – a global pioneer in flexible displays, flexible sensors and foldable smartphones. The two parties will collaborate to develop applications that implement flexible electronic technologies in cabin environments and investigate the possibilities for commercial cooperation. Airbus has been dedicated to design and manufacture aircraft that provide a better cabin experience for passengers. By investigating the use of flexible displays and flexible sensors in the cabin, Airbus plans to cooperate with Royole Technology by building a futurized, digitalized and personalized cabin to further improve the cabin environment, cabin safety and energy saving. Based in Shenzhen, Airbus China Innovation Centre is the first Innovation Centre set up by Airbus in Asia. Its mission is to fully leverage local advantages including innovative talents, partners and the eco-system, and combine this with Airbus’ expertise in aerospace to explore breakthroughs in technologies, business models and new growth opportunities. ACIC is now fully operational with the official office opening ceremony due to take place in early 2019. Dublin, Ireland-headquartered aircraft lessor Avolon firmed up an order for 75 A320neos and 25 A321neos. The agreement is the single largest order for Airbus aircraft ever placed by Avolon. The agreement takes Avolon’s cumulative orders with Airbus to 284 aircraft (240 single-aisles and 44 widebody aircraft) including the A321neo, the A330neo and the A350 XWB. The new order for 100 aircraft, together with the 22 single-aisles and four wide-bodies already delivered, increases Avolon’s Airbus backlog to 258, the largest of any lessor. Featuring the widest single-aisle cabin in the sky, the efficient A320neo Family incorporates the very latest technologies including new generation engines and Sharklets, which together deliver more than 15 percent fuel and CO2 savings from day one and 20 percent by 2020 as well as 50 percent noise reduction. With more than 6,200 orders received from over 100 customers, the A320neo Family has captured some 60 percent of the market. The first A380 for All Nippon Airways (ANA) rolled out of the Airbus paint shop in Hamburg, Germany, bearing the airline’s distinctive and unique Hawaiian Green Sea Turtle livery. ANA has firm orders for three A380s, becoming the first customer for the superjumbo in Japan. The airline will take delivery of the first A380 at the end of Q1 2019 and will operate the aircraft on the popular leisure Narita-Honolulu route. The three ANA A380s will be painted in a special livery depicting sea turtles which are native to Hawaii. The first aircraft is blue, the second will be green and the third orange. The ANA A380 livery is one of the most elaborate ever painted by Airbus. It took 21 days for the Airbus team to paint a surface of 3,600m2 using 16 different shades of color.The aircraft will now have completion of its cabin and enter a final phase of ground and flight tests in Hamburg, during which all cabin systems will be thoroughly tested, including air flow and air conditioning, lighting, galleys, lavatories, seats and in-flight entertainment. In parallel, Airbus will also undertake advanced aircraft performance tests before it flies back to Toulouse for preparation of its delivery and ferry flight. As one of the world’s most prestigious airlines, ANA will be able to benefit from the A380’s proven operating economics and unrivaled passenger appeal. Offering more personal space than any other aircraft, the A380 is the most efficient solution to meeting growth on the world’s most heavily traveled routes, carrying more passengers with fewer flights at lower cost and emissions. At the end of November, Airbus has delivered 232 A380s, with the aircraft now in service with 14 airlines worldwide. MJet GmbH of Austria became the first ACJ319 operator to sign up for Skywise, enabling it to integrate its own operational, maintenance, and aircraft data into the Skywise platform. MJet will store, access, manage, and analyze selected Airbus data together with its own data and global benchmarks without the need for additional infrastructure investments. This service will provide MJet new insights at aircraft, company and global level while allowing it to enhance its operations by improving operational reliability, reducing operational interruptions and identifying efficiencies, cost savings and enhanced revenue opportunities. MJet will share its Airbus operating-data and in return access the platform to benefit from other A319 operators’ aggregate aircraft reliability fleet data. MJet will also work with Airbus to further develop product and support services specifically for ACJ operators. Skywise provides all users with a single access-point for their enriched data by bringing together aviation data from multiple sources, across the industry, into one secure platform. The more data that airlines share into the Skywise platform, the more accurate the predictions and models for all connected. All data is anonymized to ensure data confidentiality. More than 190 Airbus corporate jets are in service around the world, flying on every continent, including Antarctica. You can determine your web speed at: https://fast.com – this may help with understanding why your e-newsletter reception is slow! United Kingdom | December 2018 — STG Aerospace Gains FAA certification for the Airbus liTeMood. STG Aerospace announced this morning that it had received FAA certification for the Airbus liTeMood LED lighting solution for the A320 family. This follows on from the successful EASA certification received in August 2018. The Airbus lighting solution received its certification from the FAA on 16 October 2018 for Airbus A318, A319, A320 and A321 models. STG Aerospace Airbus liTeMood is a dynamic and configurable full colour, plug-and-play, programmable retrofit lighting solution. It’s available for retrofit on single and twin aisle Airbus aircraft. The affordable plug-and-play system works with both classic and enhanced CIDS, installed in under 6 hours (A320) and requires no changes to aircraft wiring or control systems. For a full list of certifications please navigate to our Certifications page. France | November 26, 2018– TAP Air Portugal has taken delivery of the world’s first new-generation widebody A330neo and, as the launch airline, will be the first to benefit from the aircraft’s unbeatable operating economics, increased range, and Airbus’ new Airspace cabin offering passengers the best in class comfort. The Portuguese carrier will take delivery of a further 20 A330-900s in the coming years. TAP Air Portugal’s first A330-900 is leased from Avolon. It features 298 seats in a comfortable three-class lay-out with 34 full-flat business class, 96 economy plus and 168 economy class seats. The Airspace by Airbus cabin offers more personal space, larger overhead storage bins, advanced cabin lighting and the latest-generation in-flight entertainment system and connectivity. The aircraft will be deployed on routes from Portugal to the Americas and Africa. “I am delighted to welcome the first Airbus A330-900 into our expanding fleet. Its unbeatable economics and efficiency will power our business forward,“ said Antonoaldo Neves, TAP Air Portugal CEO. “The A330neo will give us a lot of operational flexibility thanks to its commonality with the other Airbus aircraft in our fleet. This aircraft will be the first equipped with the new Airspace cabin, which is a new concept shaped to meet TAP’s ambition to offer the best product in the industry to our passengers,“ he added. “Handing over the first ever A330neo to a long-standing Airbus customer, TAP Air Portugal, is a very important milestone for Airbus,” said Guillaume Faury, President of Airbus Commercial Aircraft. “Through continuous innovations, the A330neo, our newest widebody aircraft, will offer maximum value and efficiency to our customers and superior comfort to their passengers. This occasion marks another step forward to meeting our industry’s goal for sustainable aviation,” he added. The A330neo is a true new-generation aircraft building on the A330’s success and leveraging on A350 XWB technology. It incorporates the highly-efficient new-generation Rolls-Royce Trent 7000 engines, and a new higher span 3D optimised wing with new Sharklets fully optimised for the best aerodynamic performance. Together these advances bring a significant reduction in fuel consumption of 25 percent compared with older-generation competitor aircraft of a similar size. Moreover, new composite nacelles, a fully faired titanium pylon and zero-splice air inlet technology provide the A330-900 with state-of-the-art aerodynamics and acoustics. Today, TAP Air Portugal operates an Airbus fleet of 72 aircraft (18 A330s, 4 A340s,and 50 A320 Family aircraft). The single-aisle fleet includes 22 A319ceo, 21 A320ceo and four A321ceo, one A320neo and two recently delivered A321neo. Inmarsat, the world leader in global mobile satellite communications, announced that its GX Aviation inflight broadband service is now being offered by leading Latin American airline Avianca as part of a free trial period on selected aircraft. The trial period will last two months, providing passengers with the freedom to browse the internet, check social media and catch-up on emails, all from the comfort of their aircraft seat, with onboard connectivity comparable to mobile broadband services available on the ground. The initiative marks the Latin America debut of GX Aviation, the world’s first and only global, high-speed inflight broadband service, delivered through a wholly-owned and operated network of Global Xpress high-throughput satellites. The award-winning inflight broadband service, which will be rolled out gradually on selected Airbus A320s, Airbus A330s and Boeing 787s within the airline’s fleet, is currently available on its first two aircraft. Installations on additional aircraft are continuing to progress in Avianca’s MRO facilities in Colombia. TAP Air Portugal has taken delivery of the world’s first new-generation widebody A330neo and, as the launch airline, will be the first to benefit from the aircraft’s unbeatable operating economics, increased range, and Airbus’ new Airspace cabin offering passengers the best in class comfort. The Portuguese carrier will take delivery of a further 20 A330-900s in the coming years. The airline has taken delivery of its first A350-900 in Toulouse, becoming the latest operator of this efficient twin-engine widebody aircraft. The Shanghai-based carrier now operates an Airbus fleet of 356 aircraft, including 306 A320 Family aircraft and 50 A330 Family aircraft (figures at the end of October 2018). China Eastern is the largest Airbus operator in Asia and second largest in the world. China Eastern’s A350-900 aircraft features a modern and comfortable four-class cabin layout of 288 seats: four first, 36 business, 32 premium economy and 216 economy. The airline will initially operate the new aircraft on its domestic routes, followed by flights to international destinations. Bringing new levels of efficiency and comfort to the long-range market, the A350 XWB Family is particularly well suited to the needs of Asia-Pacific airlines. To date, A350 XWB firm orders from carriers in the region represent over a third of total sales for the type. Boeing delivered its 2,000th airplane to a Chinese operator, a 737 MAX for Xiamen Airlines. The milestone and the pace at which it was reached reflect the accelerating growth in the world’s largest commercial aviation market. Boeing delivered its first 1,000 airplanes to Chinese airlines over four decades. The next 1,000 Boeing jets have now been delivered over the past five years. The rapid pace continues as one in four Boeing-made commercial jet goes to a Chinese operator, either through direct purchase or lease.The new 737 MAX delivered today sports a special logo commemorating the milestone. It is the eighth MAX airplane to join fast-growing Xiamen Airlines, which operates the largest all-Boeing fleet in China with more than 200 jets. The carrier also uses Boeing Global Services to improve the efficiency of its network and operations. 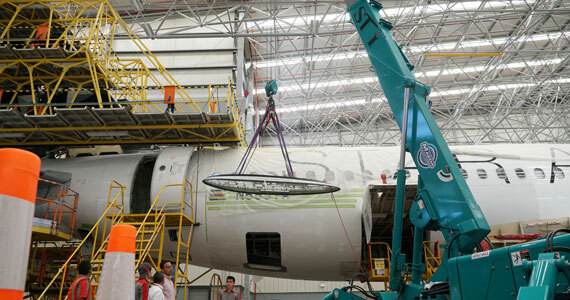 Xiamen is the first Chinese airline to use Optimized Maintenance Program, which leverages Boeing AnalytX to recommend customized airplane maintenance plans. China also plays a major role in building the world’s jetliners. The Chinese aerospace manufacturing industry supplies parts for every Boeing jet, including the 737 MAX, 777, and 787 Dreamliner. In December, Boeing and the Commercial Aircraft Corp. of China (COMAC) are set to deliver the first 737 MAX airplane from a completion and delivery center in Zhoushan, China. The facility will handle interior work and exterior painting of 737 MAXs for the Chinese market. Final assembly work will continue to be done at Boeing’s factory in Renton, Washington. Boeing delivered the first 737 MAX for Fiji Airways, which plans to use the fuel-efficient, longer-range version of the popular 737 jet to expand and modernize its single-aisle fleet. Fiji Airways plans to take delivery of five MAX 8 airplanes, which will build on the success of its fleet of Next-Generations 737s. The MAX incorporates the latest technology CFM International LEAP-1B engines, Advanced Technology winglets, and other airframe enhancements to improve performance and reduce operating costs. Compared to the previous 737 model, the MAX 8 can fly 600 nautical miles farther, while providing 14 percent better fuel efficiency. The MAX 8 can seat up to 178 passengers in a standard two-class configuration and fly 3,550 nautical miles (6,570 kilometers). Based at Nadi International Airport, Fiji Airways serves 13 countries and 31 destinations/cities including Fiji, Australia, New Zealand, Samoa, Tonga, Tuvalu, Kiribati, Vanuatu and Solomon Islands (Oceania), the United States, Hong Kong, Japan and Singapore. It also has an extended network of 108 international destinations through its codeshare partners. In addition to modernizing its fleet, Fiji Airways will use Boeing Global Services to enhance its operations. These services include Airplane Health Management, which generates real-time, predictive service alerts, and Software Distribution Tools, which empowers airlines to securely manage digital ground-based data and efficiently manage software parts. The airline completed an Auckland/Chicago flight with their B787-9 – It is 15 hours one way (North) and 16 the other! 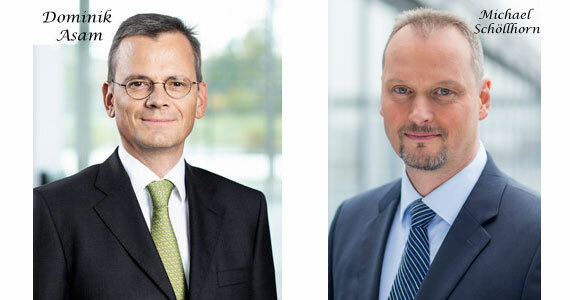 AIRBUS has appointed Michael Schöllhorn as its next Chief Operating Officer (effective February 2019) and Dominik Asam as its next Chief Financial Officer (effective April 2019). Here is a little more on the two appointments, first the new CEO, Michael Schöllhorn: Airbus SE (stock exchange symbol: AIR) has appointed Michael Schöllhorn, 53, as Chief Operating Officer (COO) for Airbus Commercial Aircraft, effective 1 February 2019. Schöllhorn, currently COO for BSH Home Appliances GmbH in Munich, will succeed Tom Williams, 66, who retires 31 December 2018 after 50 successful years in the aerospace industry, 19 of which were in top Airbus management positions. Michael Schöllhorn will report to Guillaume Faury who will succeed Tom Enders as Airbus CEO following the shareholders Annual General Meeting on 10 April 2019. He will also become a Member of the Airbus Executive Committee. Michael Schöllhorn’s wealth of diverse manufacturing and production expertise was gained from 1999 at the Bosch Group. Most notably, between 2012 to 2014 he was Executive Vice President Manufacturing and Quality, additionally heading the Global Business unit for chassis and safety sensors. Prior to this, he held several international management positions in the US and Czech Republic. From 2004 to 2008 he was Vice President of Quality Management and from 2012 to 2014, Executive Vice President Manufacturing and Quality. In 2015, Michael was appointed COO and Member of the Management Board for BSH Home Appliances GmbH (100 percent subsidiary of the Robert Bosch GmbH), one of the world’s leading home appliance manufacturers. He holds a degree in Mechanical Engineering and a PhD in Control Engineering from the Helmut Schmidt University in Hamburg. He served in the German Armed Forces as a helicopter pilot and officer from 1984 to 1994. And Airbus also selected a new CFO. In the context of the ongoing management transition process led by its Board of Directors, Airbus SE (stock exchange symbol: AIR) has appointed Dominik Asam, 49, to succeed Harald Wilhelm, 52, as Chief Financial Officer (CFO) in April 2019. Asam, currently CFO of Munich-based Infineon Technologies AG, will join Airbus on 1 April 2019 ensuring a smooth handover with Harald Wilhelm, who remains in charge in his current role until the Annual General Meeting on 10 April 2019. As CFO, Dominik Asam will report to future CEO Guillaume Faury and become a Member of the Airbus Executive Committee. A 1994 graduate in Mechanical Engineering from the Technical University of Munich, Dominik Asam began his professional career in 1996 in the Investment Banking Division of Goldman Sachs Inc. with postings in Frankfurt, London and New York. Further to his studies in his hometown of Munich, Asam holds a Master of Business Administration from INSEAD as well as a degree in Mechanical Engineering from the Ecole Centrale Paris. TAP Air Portugal has taken delivery of the world’s first new generation widebody A330neo and, as the launch airline, will be the first to benefit from the aircraft’s unbeatable operating economics, increased range, and Airbus’ new Airspace cabin offering passengers the best in class comfort. The Portuguese carrier will take delivery of a further 20 A330-900s in the coming years. TAP Air Portugal’s first A330-900 is leased from Avolon. It features 298 seats in a comfortable three-class lay-out with 34 full-flat business class, 96 economy plus and 168 economy class seats. The Airspace by Airbus cabin offers more personal space, larger overhead storage bins, advanced cabin lighting and the latest generation in-flight entertainment system and connectivity. The aircraft will be deployed on routes from Portugal to the Americas and Africa. The A330neo is a true new generation aircraft building on the A330’s success and leveraging on A350 XWB technology. It incorporates the highly efficient new generation Rolls-Royce Trent 7000 engines, and a new higher span 3D optimized wing with new sharklets fully optimized for the best aerodynamic performance. Together these advances bring a significant reduction in fuel consumption of 25 percent compared with older generation competitor aircraft of a similar size. Moreover, new composite nacelles, a fully faired titanium pylon and zero-splice air inlet technology provide the A330-900 with state-of-the-art aerodynamics and acoustics. Today, TAP Air Portugal operates an Airbus fleet of 72 aircraft (18 A330s, 4 A340s, and 50 A320 Family aircraft). The single-aisle fleet includes 22 A319ceo, 21 A320ceo and four A321ceo, one A320neo and two recently delivered A321neo.The A330 is one of the most popular widebody families ever, having received over 1,700 orders from 120 customers. More than 1,380 A330s are flying with over 128 operators worldwide. The new A330neo is the latest addition to the leading Airbus widebody family, which also includes the A350 XWB and the A380, all featuring unmatched space and comfort combined with unprecedented efficiency levels and unrivaled range capability. Boeing and Caribbean Airlines announced the airline has chosen to enhance and renew its single-aisle fleet with the 737 MAX 8. The carrier, which has long operated the Next-Generation 737, will take delivery of 12 MAX airplanes in the coming years. Boeing and Turkish Airlines announced an order for three 777 Freighters as the flag carrier of Turkey continues to soar on record financial results and double-digit passenger and cargo growth. The order adds more of the long-range freighter to Turkish’s fleet as the airline pursues its goal of becoming the world’s largest cargo carrier. The new order comes days after Turkish Airlines posted record profits for the first nine months of 2018 on strong passenger and cargo demand. The carrier’s air freight business saw a 25-percent tonnage increase and a 29-percent revenue increase compared to the same period a year ago. The results extend the airline’s success in recent years as Turkey has become one of the largest and fastest-growing aviation markets. In line with the rapid growth, Turkish Airlines has steadily expanded its current and future fleet. Last January, the carrier announced the order of three 777 Freighters. Two months later, Turkish finalized an order for 25 787-9 Dreamliners and five options to prepare for growing demand at Istanbul’s third airport, named “Istanbul Airport” by Turkish President Recep Tayyip Erdoğan during its official opening last month. Over the past few months, Turkish has begun taking delivery of new 737 MAX airplanes to refresh its single-aisle jets. In all, the airline’s fleet of Boeing jetliners has grown to more than 160, with nearly 100 additional jets on order. To support the long-term growth of the Turkish aerospace industry and strengthen Boeing’s presence in the country, Boeing launched a strategic partnership program in Turkey last year, called the National Aerospace Initiative. Aligned with the targets of Turkey’s Vision 2023 that set for the 100th anniversary of Turkish Republic’s foundation, the initiative lays out a strategic collaboration framework in four key areas: industrial development, technology acceleration, services collaboration and advanced-skill training. Moscow | November 20, 2018– According to Airbus’ Global Market Forecast, unveiled at the Wings of the Future conference in Moscow, Russia & CIS’s airlines will need some 1220 new aircraft* valued at US$175 billion in the upcoming 20 years (2018-2037). This means that the passenger fleet in the region will almost double from 857 aircraft in service today to over 1700 by 2037. Over the next 20 years, passenger traffic in Russia & CIS region will grow at the average rate of 4.1% annually with Russia being the major contributor to this growth. By 2037 the propensity for air travel in Russia will more than double. In the Russia & CIS region, in the Small segment typically covering the space where most of today’s single-aisle aircraft compete, there is a requirement for 998 new passenger aircraft; In the Medium segment, for missions requiring additional capacity and range flexibility, represented by smaller widebodies and longer-range single-aisle aircraft, Airbus forecasts demand for 140 passenger aircraft. For additional capacity and range flexibility, in the Large segment where most A350s are present today, there is a need for 39 aircraft. In the Extra-Large segment, typically reflecting high capacity and long range missions by the largest aircraft types including the A350-1000 and the A380, Airbus forecasts demand for 44 passenger aircraft. “We see growth in the air transport sector in Russia & CIS. Tourism and business remain the key drivers resulting in an increased demand for new generation and more fuel-efficient aircraft. For over 25 years Airbus has been supporting its Russia & CIS customers in their fleet development needs, offering the most advanced, efficient and comprehensive aircraft family. We look forward to seeing more new Airbus deliveries in the upcoming years, including the A220, our bestselling A320neo Family and the A350,” said Julien Franiatte, Head of Country Russia, Airbus. Toulouse | November 20, 2018– Airbus has reached an agreement with easyJet that extends the airline’s fleet plans into 2023, exercising purchase rights to firm orders for 17 A320neo. This takes its combined order for the NEO to 147 (including 30 A321neo) and means easyJet has ordered 468 A320 Family aircraft to date. The A320neo family is the world’s best-selling single aisle aircraft with more than 6,200 orders from over 100 customers since its launch in 2010. It incorporates latest technologies including new generation engines and Sharklet wing tip devices, which together deliver more than 15 percent in fuel savings from day one and 20 percent by 2020 with further cabin innovations. The A320neo also offers significant environmental performance with nearly 50 percent reduction in noise footprint compared to previous generation aircraft. Hamburg | November 19, 2018–The first ACJ320neo successfully completed a two hour and 40 minute first flight from Hamburg on 16th November, getting its short test-programme off to a good start. Derived from the popular A320neo airliner family, some 500 of which are in airline service, the corporate jet version includes features such as extra fuel-tanks in the cargo-hold that will deliver even more intercontinental range, plus greater cabin-pressure for better passenger comfort. “The ACJ320neo first flight heralds a new Airbus corporate jet era, delivering a range improvement thatenables nonstop travel between even more cities, in what is widely recognised as the best cabin of any business jet,” said ACJ President Benoit Defforge. “The ACJ320neo Family’s improved fuel-efficiency also means that it compares even more favourably in operating costs with traditional business-jets,” he added. Airbus also offers a complete family of VIP widebodies that can carry even more passengers nonstop to the world – including the new ACJ330neo and ACJ350 XWB. Toulouse, France | November 13, 2018– Flynas, Saudi Arabia’s first low-cost airline, has begun taking delivery of its first of 80 A320neo Family aircraft. This follows an agreement signed in January 2017, with deliveries scheduled to take place from 2018 to 2026. Flynas is the first operator in Saudi Arabia to acquire the A320neo and currently operates a fleet of 30 A320ceos. The A320neo, powered by CFM LEAP-1A engines, will support Flynas’ expansion plans while providing greater operational efficiency and passenger comfort. Saudi Arabia is the largest domestic aviation market in the Middle East. Since its inception in 2007, Flynashas set ambitious growth plans that continuously develop its fleet in order to carry more passengers. In 2017, the airline carried more than 6.4 million passengers and over 3 million passengers during the first half of 2018. Zhuhai | November 7, 2018– The 3-day annual meeting of the Airbus Global University PartnerProgramme opened in Zhuhai, China on 5 November, running alongside the International China Airshow, being held from November 6 to November 11. The annual meeting gathers over 80 university and Airbus delegates with the aim of exploring innovative ways to develop the competencies required by the aerospace industry and to build a better talent pipeline from partner universities into Airbus. For more information, read about Airbus’ commitment to education online or find out more about AGUPP in the 2017 AGUPP Annual Report. Toulouse, France | November 9, 2018– Airbus logged a combined total of 85 orders in October for NEO versions of its single-aisle A320 and widebody A330 jetliner families while delivering 81 aircraft from the A220, A320 and A330 and A350 XWB product lines during the month. Leading the new business were 67 bookings for the twin-engine A321neo and A320neo. Vietjet’s firm order for 50 A321neo aircraft brought the overall number of A320 Family jetliners ordered to date by this Vietnamese carrier to 171. Also included in the October order book was German-based Lufthansa’s acquisition of 17 A320neo aircraft. In the widebody segment, orders were logged during the month for 18 A330neo jetliners – the latest version of Airbus’ popular twin-engine A330 Family. An undisclosed customer acquired 10 A330-900s, and Kuwait Airways placed an order for eight of the shorter-fuselage A330-800 versions. The new business in October brought Airbus’ net orders for the January-October 2018 timeframe to 340 aircraft. This was composed of 264 single-aisle jetliners (250 A319/A320/A321neo and 14 A319/A320/A321ceo versions) and 76 widebody aircraft (22 A330neo and four A330ceo jetliners, along with 36 A350 XWBs and 14 A380s). October’s deliveries were made to 40 customers, involving twoA220s, 67 A320 Family jetliners (of which 48 were A320/A321neo aircraft), three A330-200/A330-300s, and nine A350 XWBs in the A350-900 and A350-1000 versions. Among the notable delivery milestones during the month was the first A220 provided to a U.S. carrier – an A220-100 version received by Delta Air Lines. Additionally, Airbus surpassed the 500-delivery mark for its A320neo/A321neo jetliners in October. Taking the month’s order and delivery activity into account, Airbus’ overall backlog of jetliners remaining to be delivered as of October 31 stood at 7,386 aircraft, representing approximately nine years of production at current rates. Toulouse, France | November 12, 2018– Airbus has selected twenty-four new startups to join its BizLab for the launch of the fourth accelerator programme, providing a platform to develop previously untapped technologies and ways of working in the aerospace sector. Airbus BizLab is a global aerospace business accelerator where startups and Airbus intrapreneurs speed up the transformation of innovative ideas into valuable businesses. Since starting in 2015, Airbus BizLab has accelerated 50 startups and 40 internal projects, which have raised a combined € 19.5 million. This year, Airbus BizLab also challenged startups to propose technical solutions contributing to the UN Sustainable Development Goals that Airbus is committed to. With the opening earlier this year of Airbus BizLab’s fourth site in Madrid (Spain) – afterToulouse (France), Hamburg (Germany) and Bangalore (India) – the selected firms will join a unique consolidated global network within the four sites. During the six-month acceleration programme, the 24 startups will receive support from an international team of experts from various fields and have access to dedicated coaching staff, networking opportunities and co-working spaces. Hailing from ten countries around the world, the new startups were selected out of 495 applications from 64 countries. One of the main criteria used in the selection process were the synergies between the startup projects and Airbus’ innovation strategy. Many fledgling aerospace businesses struggle today to turn innovative ideas and technologies into commercial reality, others face difficulties accessing customers or endure long certification processes. This significantly slows the pace of innovation. To overcome these hurdles, Airbus BizLab has developed a “hybrid” concept that helps startups better navigate the challenges of working with large firms. Toulouse-based startup UWINLOC offers the world’s first connected battery-less indoor location solution designed for large volume tracking of assets in the manufacturing and logistics industries. UWINLOC raised € 4.5 Million in a Series A funding round led by ELAIA Partners to expand its operations in the United States and China. Neewee and EFLIGHT, both Bangalore BizLab alumni, signed contracts with Airbus.Neewee uses advanced analytics and artificial intelligence to improve manufacturing supply chain and procurement operations, while EFLIGHT has developed a solution that optimizes jet pilot response to flight conditions. France | November 6, 2018 — The A330-800 has completed its maiden flight, with this highly-efficient addition to the A330 twin-engine widebody jetliner product line performing an evaluation lasting four hours and four minutes from Toulouse-Blagnac Airport. The Airbus crew for this first flight – Captain François Barre, Copilot Malcom Ridley, Test Flight Engineer Ludovic Girard, as well as Flight Test Engineers Catherine Schneider and Jose Angel Corugedo Bermejo – put the aircraft through its paces and highlighted the new-generation jetliner’s operational advantages. As the second member of the A330neo Family, the A330-800 is the most efficient, longest-range entry-level widebody aircraft. It joins the longer-fuselage A330-900 variant, which offers the lowest seat-mile cost in midsize widebody category and will soon be entering airline service with launch operator TAP Air Portugal. The A330-800 and A330-900 have more than 99% commonality across the two A330neo versions, and they share the same type rating with the other members of Airbus’ A330 Family – which are the best-selling midsize widebody aircraft ever. Additionally, the two A330neo aircraft have a common type rating with the A350 XWB, facilitating pilots’ transition among these widebody Airbus aircraft for maximum efficiency. Passenger capacity of the A330-800 variant is 257 passengers in a three-class configuration, with the A330-900 version seating 287 passengers with similar typical three-class layout. The A330neo has the quietest and most comfortable cabin in its category. Fitted with the new Airspace by Airbuscabin, the A330neo features an innovative and customisable entrance, full LED ambient lighting, new lavatories, as well as the latest in-flight entertainment system for an exclusive experience aloft. Rolls-Royce’s Trent 7000 powers the A330-800 and A330-900, offering a significant reduction in fuel burn. With 25 percent less fuel consumption than previous generation aircraft, these A330neo jetliners can travel farther with lower operating costs. For the A330-800, this results in a range of up to 8,150 nautical miles, enabling non-stop flights between Southeast Asia and Europe, as well as transpacific travel between Southeast Asia and the U.S. West Coast. 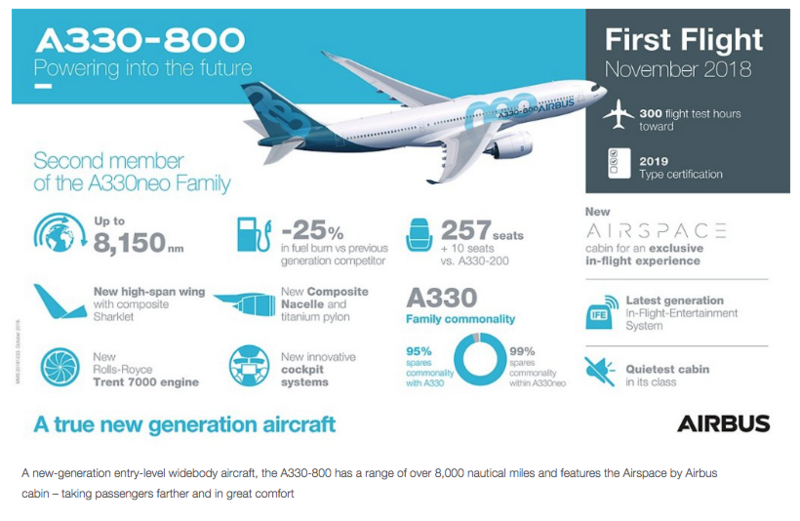 See the successful A330-800 first flight press release. Find out more about Airbus’ commercial aircraft market leadership across its jetliner families. Hamburg joins London as the world’s only locations with two airports where the Airbus A380 can be seen regularly. With one of the two daily Emirates flights between Helmut Schmidt Airport in Hamburg and Dubai becoming an A380 service, the world’s largest airliner is now regularly coming “back home”. A large share of the global A380 fleet, including all 105 that have been delivered to Emirates so far, have been delivered to customers from the Air- bus site in Finkenwerder, Hamburg. The company’s decision in 2000 to make the city an A380 production site is seen as a significant milestone, boosting and an- nouncing Hamburg’s ascent to the ranks of the world’s leading aviation locations. With a maximal possible configuration of 853 seats, the Airbus A380 is the largest pro- duction airliner in the history of flight. For its daily A380 service between Hamburg and Dubai, Ermirates is using a three-class configuration with 516 seats, including 14 First Class suites and 76 Business Class flatbed seats. The cabin was completely installed at the Airbus factory in Finkenwerder, Hamburg, and before handover the aircraft was sub- ject to a functional test lasting several hours in the skies over northern Germany. Large sections of the fuselage are produced at the Airbus site in Finkenwerder, and the paintwork and cabin fitting for all Airbus A380 aircraft is carried out here. The vertical stabiliser for the A380 is produced at the Airbus factory in nearby Stade. Numerous suppliers from the Hamburg Metropolitan Region are also involved in the construction of the super-jumbo, including Diehl Aviation, providing equipment such as the internation- ally acclaimed shower cabin for the Emirates A380 First Class, VINCORION, providing an elevator for cabin trolleys, and Innovint, providing baby bassinets, magazine racks and other items. Hamburg is the 61st city worldwide to be served with a scheduled A380 service. The most important A380 destinations include Dubai, London and Los Angeles. In order to handle the huge Airbus on a daily basis, Hamburg’s Helmut Schmidt Airport made a long-term investment in its ground handling infrastructure, including 750,000 euros for a third jet bridge to provide a direct link to the A380 upper deck. The number of jobs in the aviation industry within the metropolitan region has climbed from 26,000 to more than 40,000 since the A380 programme was launched in the year 2000. Today, Hamburg is one of the three largest sites in the global civilian aviation in- dustry. Whilst the A380 as flagship continues to be the “poster child” for the Airbus site, the greatest economic significance now lies with the A320 range. Final assembly takes place here on the banks of the Elbe for 50% of worldwide deliveries of this global- ly popular short and medium-haul airliner. The latest addition to the range is the A321LR, targeted at low-frequency long-haul routes. The region’s focus is on aircraft manufacturing, aircraft cabin development and the maintenance, overhaul and modification business.